INC Magazine Honors Pure Air Control Services as #1 Fastest Growing Indoor Environmental Service Firm in US - Pure Air Control Services Inc.
NEW YORK, NY August 18, 2016 – For 35 years, Inc. has welcomed the fastest-growing private companies in America into a very exclusive club. 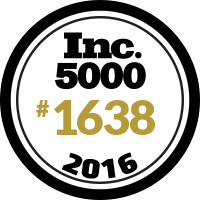 The Inc. 5000 2016 List of America’s Fastest-Growing private companies wield powers like strategy, service, and innovation. Pure Air Control Services, headquartered in Clearwater, FL was honored as the # 8 fastest growing environmental services firm in the US and #1 (indoor) environmental services firm in the US. Pure Air Control Services 3 year growth was 229% and listed as the # 1638 company in the US. As an Inc. 5000 2016 honoree, Pure Air Control Services is among the elite with Microsoft, Intuit, Dell, Under Armour, Jambi Juice, Timberland, LinkedIn, Dominos Pizza, Pandora, Oracle, and other notable alumni. The 2016 list added such powerhouses as Dollar Shave Club, Bai Drinks, Orange Theory Fitness, ipsy, Square, Yeti Coolers, and Ruby Receptionists. The average company on the list achieved a mind-boggling three-year growth of 433%. The Inc. 5000’s aggregate revenue is $200 billion, and the companies on the list collectively generated 640,000 jobs over the past three years, or about 8% of all jobs created in the entire economy during that period. Complete results of the Inc. 5000, including company profiles and an interactive database that can be sorted by industry, region, and other criteria, can be found at Inc. 5000 2016. For more information on Pure Air Control Services please contact Alan Wozniak or Bob Kelly at (800) 422-7873 x 802 or 804 respectively. The annual Inc. 5000 event honoring all the companies on the list will be held from October 18 through 20, in San Antonio, TX. Speakers include some of the greatest entrepreneurs of this and past generations, such as best-selling author and strategist Tony Robbins, Soul Cycle co-founders Elizabeth Cutler and Julie Rice, Cornerstone OnDemand founder, president and CEO Adam Miller, Marvell Technology Group director and co-founder Weili Dai, and New Belgium Brewing co-founder and executive chair Kim Jordan. Pure Air Control Services, Inc. was established in 1984 as a small mechanical contracting firm. Today, the firm sets the industry standard for indoor environmental quality diagnosis, laboratory and remediation. For more information on Pure Air Control Services, Inc. please contact Dr Rajiv Sahay or Alan Wozniak (800) 422-7873 ext 802 or 804 respectively.